FRIDAY 2:00 PM TO 5:00 PM WALK IN SKILLS AND KNOWLEDGE TESTING! 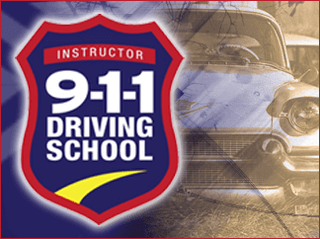 Welcome to 911 Driving School Port Orchard, serving the communities of Kitsap County since 2006. NOW OFFERING WALK IN DOL KNOWLEDGE TESTING!! FRIDAY 2:00 PM TO 5:00 PM WALK IN SKILLS AND KNOWLEDGE! Client will work one-on-one with an instructor in our vehicle. Clients can customize private drives to meet their goals. The Reality Check is a one-day, four-hour behind the wheel program on a closed course. The course is offered on selected Saturdays and Sundays from 8 a.m. to 12-noon and 1:00 p.m. to 5 p.m. Drivers use their own vehicles so they can learn how the vehicle they drive most often responds under emergency braking and quick steering maneuvers. Any driver who wants to refine their collision avoidance skills. Perfect for new drivers to help them learn collision avoidance skills quickly, and get a “Reality Check” on their skill level and what their vehicle can and can’t do. “Nervous Drivers” who want more confidence behind the wheel. New car owners who want to get a feel for how their car will handle in emergency situations.